Vitamin C was the first artificially synthesized vitamin back in 1935 by Dr. Tadeusz Reichstein of the Swiss Institute of Technology in Zurich. 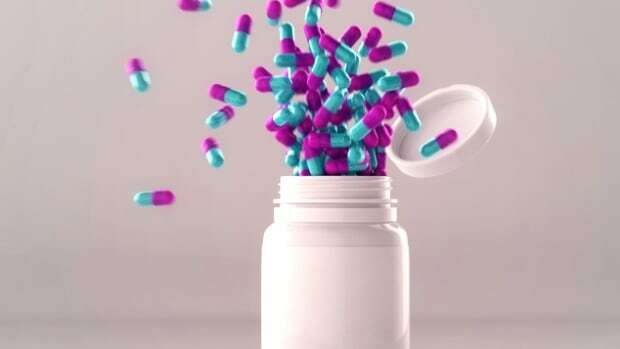 In the eighty years since, the dietary supplement industry has exploded with synthetic and natural vitamins, minerals, herbs and isolated nutrients purporting to cure and prevent our every ailment. These “vital amines” as the name means in Latin, were first discovered to help prevent diseases like beriberi, scurvy and rickets that were directly related to vitamin deficiencies. Vitamins convert food into energy and help the assimilation process of nutrients. But whether or not getting them artificially or in isolated forms are beneficial is a highly debatable topic. 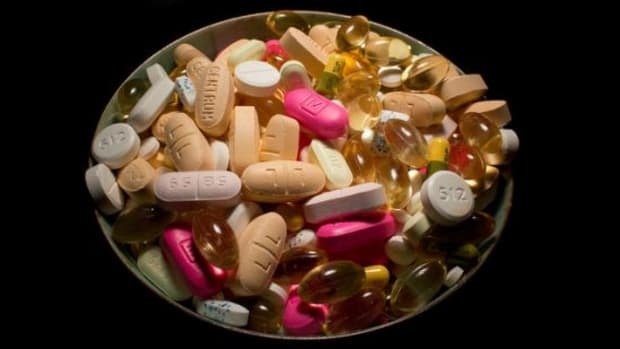 Sales of all dietary supplements in the U.S. in 2012 were estimated at $32.5 billion. It’s a core category for health-focused stores like Whole Foods Market, with demand on the rise for vitamins, minerals and herbal dietary supplements of all kinds. Chances are pretty good that you or someone in your household took a vitamin or dietary supplement today or will do so before the week&apos;s end. Millions of Americans do. 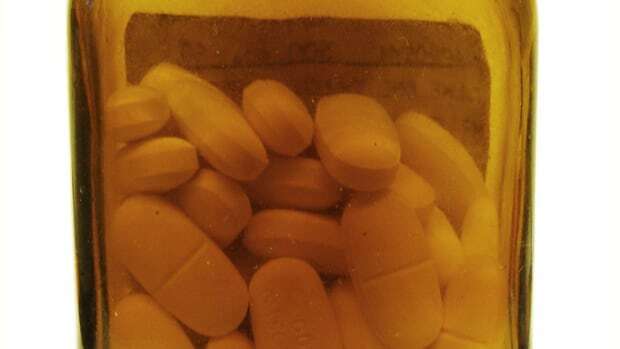 But how much do we really know about what goes into these expensive pills? Do they really work? And are they safe? Trinity Ava, long time industry member and herbalist with VeRdant consulting, gave Organic Authority an inside peek at the dietary supplement and vitamin business. “Our system is based on profiting off of bodies,” Ava said. And when a brand’s motivation is to make money, health claims have to be adapted to encourage ongoing sales. These are businesses out to make a dollar first and foremost. And just like in the also booming pharmaceutical industry, creating repeat customers is good business. America is a drug culture—we’ve been popping pharmaceutical and over-the-counter pills for decades. And the dietary supplement industry is profiting off of this habit by suggesting that we simply swap out our conventional pharmaceutical pill fix for “natural” offerings. “But we don’t have 100 years of history; we barely have 30 or 40 years, and we need much more research,” Ava explains. Yet millions of Americans routinely combine pills, taking things they may not even need, putting themselves at risk of complications. Not to mention spending countless dollars on products that may not be doing them any good. 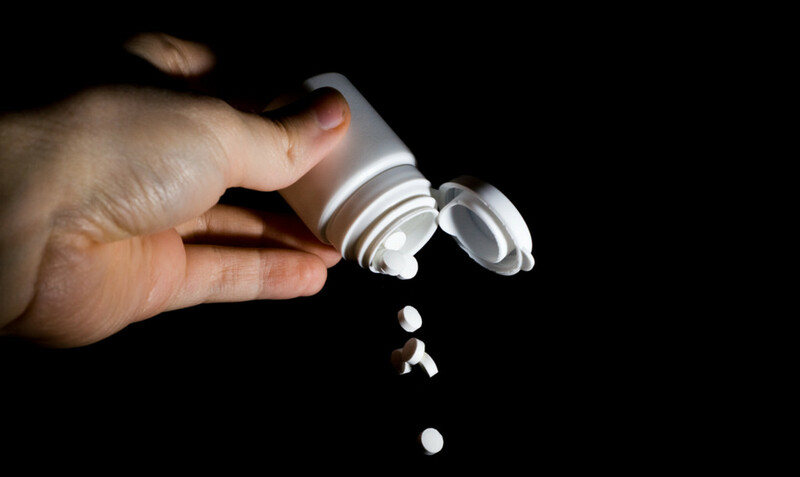 Last year, a peer-reviewed study pointed to possible health risks from consuming dietary supplements. 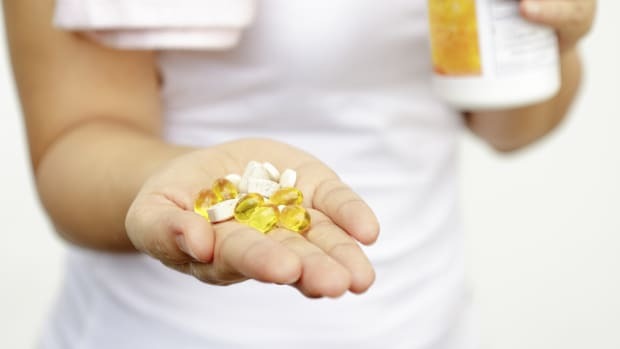 “Evidence continues to mount that vitamin supplements don&apos;t help most people and can actually cause diseases that people are taking them to prevent, like cancer,” NPR reported. "The vast majority of people taking multivitamins and other supplemental vitamins don&apos;t need them,” Steven Salzberg, professor of medicine at Johns Hopkins and expert on vitamins told NPR. “I don&apos;t need them, so I stopped." A healthy, balanced diet should be able to provide us with all the nutrients we need, but not always. The processed foods dominant in the Standard American Diet, and issues like depleted soil quality, can decrease the vitamins once abundant in our food. 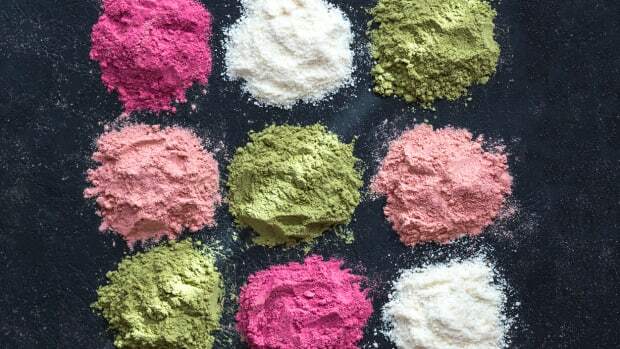 “Food-based” supplements do offer many advantages over synthetic supplements like including botanicals and some food-derived ingredients. But does that mean there’s an actual carrot in your beta carotene pill? Or an orange in your vitamin C? Not typically. Vitamin C, for example, is most often made from fermented corn sugar. Not exactly fresh-picked fruit grown in the garden and thrown into the vitamin-making machine. In most cases, even if a supplement does contain some food-based ingredients, it’s usually a small amount. Many food-based vitamin brands still grow isolated vitamins and inject them into yeast, which then reproduces the vitamin before it gets deactivated and added to the supplement. While that certainly sounds more appealing than synthetically produced soul-less vitamins, is it better for you than eating a well-balanced and nutrient-rich diet with naturally occurring vitamins, minerals and other active chemical compounds in the food? More and more, science is saying there is no magic pill that’s healthier than a carrot—not even if it’s made from ground up carrots. All vitamins, natural or synthetic, also need binders and fillers to create the tablet or capsule or a powder that doesn’t clump. These can include microcrystalline cellulose (wood pulp), lactose (milk), and maltodextrin, an ingredient that nowadays in the U.S., is most likely sourced from genetically modified corn if it’s not organic. There are lubricants like magnesium stearate and flow agents like silicone dioxide routinely added to supplements. Synthetic supplements may also include artificial colors, flavors and sugars. There’s also a likelihood of synthetic vitamins commingling with "natural" ingredients. 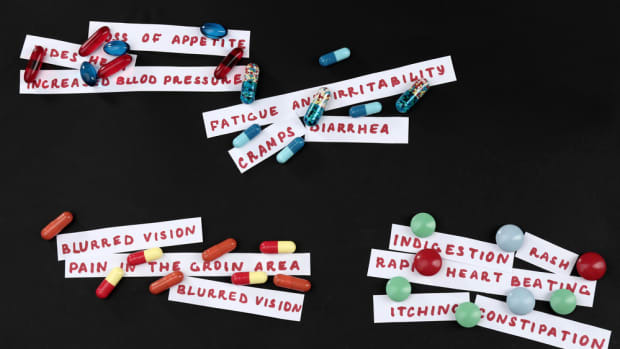 One important area that has limited research behind it is the risk of contraindications. 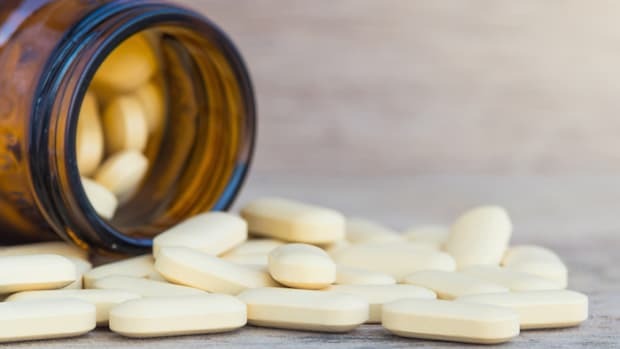 Whether that’s mixing herbs and supplements or vitamins and pharmaceuticals, there’s just not enough research to identify all of the possible risk factors, especially now as there’s an ever increasing number of both pharmaceuticals and dietary supplements. “We are still pretending that all dietary supplements are good for us,” Ava said. And this may be most true, ironically, in the natural food industry, where people are treating themselves as guinea pigs, mixing pills, extracts, teas and more in excessive self-diagnoses and treatment combinations that can be truly unhealthy. A big part of the problem is that supplement companies don’t need to have any medical credentials, doctors or herbalists on staff in order to create or sell a dietary supplement in the U.S. “There are some rules, but you can still bring it to market and create a story around it and convince people they need it,” notes Ava. “We don’t have a regulatory framework that relies on credentials.” The 1994 DSHEA regulation (Dietary Supplement Health and Education Act) brought you that little disclaimer on the product label of most dietary supplements: “This product is not intended to diagnose, treat or cure any disease…” is like a get-out-of-jail-free card for manufacturers who aren’t doctors, scientists or herbalists but still want a piece of the multi-billion dollar supplement business. DSHEA makes it so that anybody can create any kind of a pill—and as long as it doesn’t contain banned substances—they can sell it to you legally, and for a lot more money than it may be worth. The companies are responsible for their own testing and do not need FDA approval to sell dietary supplements. Of course, there are brands with credentialed formulators, like New Chapter, MegaFood, Herb Pharm, Gaia and Traditional Medicinals that research and test their ingredients and products. But a consumer standing in a store aisle surrounded by hundreds of bottles, jars and boxes only has a label, and perhaps a semi-knowledgeable staff person to help them make their purchasing decision. And with so many people shopping online these days, while there’s unlimited information just a few clicks away, it can be overwhelming and confusing for consumers to try and research product claims. Many simply resign to trust a brand’s marketing spiel rather than seek out unbiased research. There’s also the perception that our government is regulating the safety and efficacy of the dietary supplement business, even though that’s not the case. Two recent startups selling liquid food supplements (one is even called “Soylent” after the Sci-fi film with a similar theme) boast virtual meal replacements that do away with the mundane chore of cooking and chewing real food. Soylent claims its goal is to “engineer the most healthy, affordable, and convenient staple food ever produced,” by distilling foods down to their perceived valuable parts and combining those isolates into a milky-looking and bland-tasting froth. It’s a slurpable vitamin, if you will. “We are at an insane time in human history where we believe we can replace the need for real food, sleep, and even company with synthetic versions of them and not suffer a vast consequence,” says Ava. Just a couple generations ago, every family knew some basics for self-care for minor illnesses, wounds and other ailments. If your parents immigrated to the U.S., there’s a good chance there are still some family remedies in use in your home today, whether it’s a nutrient-rich soup recipe, a cup of herbal tea for a stomachache or a poultice for a wound. But self-care in the modern Western world is a much different story. For the Flinstones vitamin generation, now parents themselves, gummy vitamins—even the organic kind—are common staples for today&apos;s children. These vitamins are often served up in conjunction with the quick processed foods that are just as common, and just as lacking in benefits when compared with real, whole foods. For colds we turn to canned chicken soup loaded with sodium, BPA and unnatural ingredients instead of a homemade broth and fresh vegetables loaded with healing benefits. We turn to over-the-counter cough and cold products that may suppress symptoms for a while, but can prolong the healing process, where a cup of herbal tea based on thousands of years of tradition may be more effective, not to mention less expensive. Some manufacturers knowingly violate the few laws that are in place designed to protect consumers, using claims that are not permitted on labels. They risk being caught by the FDA, taking the fine and being forced to remove the claims, because it is often less costly than the sales they’d lose without the exaggerated health claims. Airborne—a Johnson and Johnson product—settled a lawsuit in 2008 for more than $23 million over false advertising. The product, which was nothing more than an ordinary vitamin pill, was created by a second-grade teacher, who "studied the benefits herbal therapies used in Eastern Medicine." Several distributors for Young Living essential oils were recently forced to remove claims from their websites that said ingesting and topically applying the essential oils could “cure” the Ebola virus when there have been zero clinical trials to back up that claim. The real question we need to be asking, Ava says, is “what is really good for us that is not based on a system focused so intently on profit?” Not just for the individual, but for the planet too, as many of these so-called magic pills are extracted from dwindling rainforests and other fragile ecosystems being compromised by capitalism. 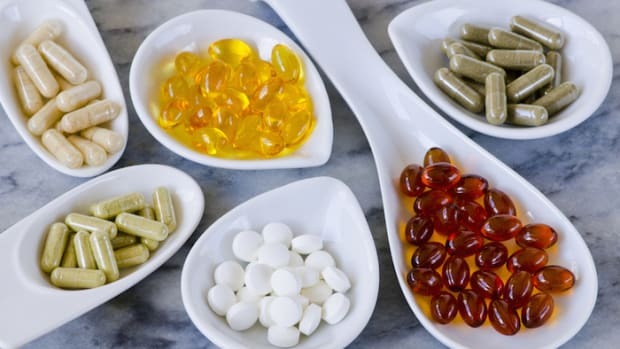 The dietary supplement industry, like the pharmaceutical industry, lacks transparency, which is the only way consumers are really ever going to be able to make the healthiest choice, particularly when it comes to herbs, which can be as powerful as prescription drugs. As science keeps confirming, the whole is greater than its parts. Food itself—real, whole food from the ground—is the perfect vitamin. While some health conditions may call for supplemental nutrients, most of us can get all the nutrients we need from our diet alone. That truth may be a tough pill to swallow, but it’s the one that’s been proven to work time and again. No, You Don’t Need Dietary Supplements to Stay Healthy: Ditch the Vitamins and Embrace Mother Nature!